A warm welcome awaits you at the Brigg Heritage Centre. Situated on the first floor of The Angel, a former 17th Century coaching inn the Brigg Heritage Centre is a labyrinth of rooms and discoveries. 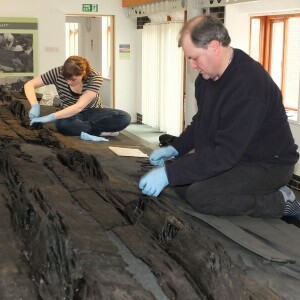 The star exhibit, the Bronze age ‘Raft’ found nearby in the river Ancholme, sets the scene for a fascinating journey, charting the rise of Brigg as an important and influential, market place through to the picturesque town you see today. With children crafts, temporary exhibitions, talks and events there is always something new.